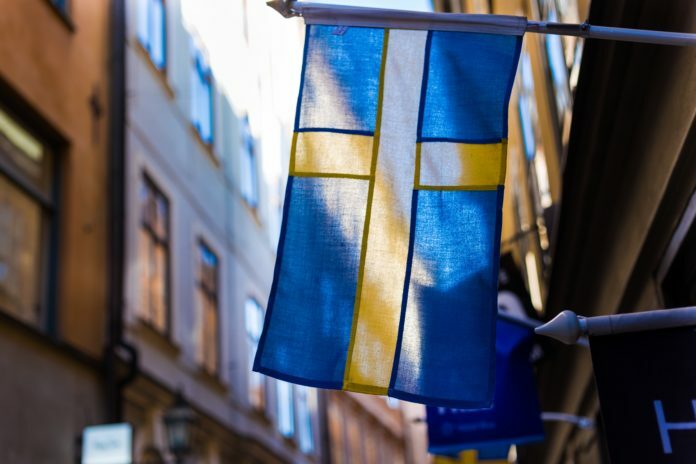 Sweden has one of Europe’s most active startup ecosystems, with higher investment volume in tech startups per capita than any other country on the continent. It also has 20 startups for every 1,000 employees – 5x that of the US. Venture capital funding in Sweden has been steadily rising over the past few years, and Stockholm is now known as Europe’s “unicorn factory” – with more unicorns per capita than any city in the world next to Silicon Valley – churning out billion dollar companies such as Spotify, iZettle, and Klarna. VOI – Founded in 2018, this Swedish urban mobility startup VOI raised $50 million in November to launch its e-scooters in cities across Europe. The startup is already present Stockholm, Gothenburg, Madrid, Zaragoza, Malaga, and Lisbon, with more than 150,000 registered users, and plans to further expand into Italy and France in the coming months. VOI’s scooters offer a green, convenient, and inexpensive alternative to cars and public transit. The e-scooters can be unlocked through an app, and cost just €1 to unlock and €.15 per minute to ride. Panion – Billing itself the “Common Interest App”, unlike existing social networks where you interact with those you already know, or dating apps where the emphasis is on finding a partner (or a hook up), Panion is designed to help you meet friends – new people near you who share your interests. After signing up, you can create a short profile and choose the interests that define you (from painting to graphic design, politics, DIY, startups, Buddhism, travelling, tech, veganism, sports, science, the list goes on…) then select the type of person you’re looking to meet (Students? Other parents? Activity partners? Co-founders?). Based in Malmö, this app just launched in 2018. Meds – Founded in 2017, Meds sells beauty and health care products, as well as non-prescription and prescription drugs with permission from the Swedish Medical Products Agency. About 40% of Meds’ sales are to households in the Stockholm area, and it delivers to homes within two hours. The startup plans to soon be available in both Malmö and Gothenburg as well. Meds recently raised €5 million in a round led by Inbox Capital, bringing the startup’s total amount raised to €10.5 million. Flow Neuroscience – One out of twenty people suffer from depression – a first world epidemic that has been growing over past decades, and is the leading cause of disability in the world. Founded in 2016, this startup is disrupting mental health by introducing a new treatment for depression through brain stimulation. It has developed an easy-to-use, medical-grade headset designed to help individuals overcome the physical and behavioural elements of depression in the comfort of their home. The headset is accompanied by an app, which helps users change their daily routines and break the negative behavioural patterns that come with depression. The company claims that the treatment is safer than antidepressants and more cost-effective than psychotherapy, but just as effective. Many scientific studies have shown brain stimulation to be a safe and effective way to counter the brain activity imbalance found in people suffering from major depressive disorder. 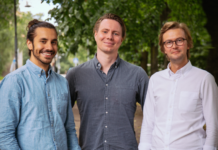 Based in Malmö, the company raised a $1.1 million seed round in January 2018. 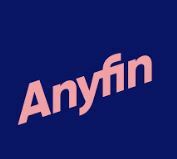 Anyfin – Founded in 2017, Anyfin’s platform leverages publicly available consumer data and AI to enable consumers to refinance their existing loans within seconds, simply by taking a picture of their loan statement. Consumers send Anyfin the picture through a channel of their choice, including SMS, email or Facebook Messenger, and the company replies with an option to refinance the loan at a better price. With one tap, the consumer can accept the new option from Anyfin, and the company takes care of settling the existing loan for them. Aside from a better price, the terms of the new loan mirror those of the existing loan. Based in Stockholm, Anyfin raised a €4.8 million Series A funding round in February 2018. ELSA – Sir Gregory Winter received the 2018 Nobel Prize in Chemistry for his work in developing monoclonal antibodies, now used to treat a wide range of auto-immune disorders. Among these poorly-understood disorders, rheumatoid arthritis is is particularly prevalent in Sweden. Teaming with pre-eminent medical researchers from the Karolinska Institute, ELSA has developed a personal medical information system that allows users to match their medication against their genome, their medications, their diet, and other daily habits and lifestyle through an app. With $700,000 in seed money from Inventure, Crowberry Capital, angel investors, and with excellent prospects of interest from pharmaceutical companies, the system is now being internationalised. Doctrin – Doctrin was founded in 2016 with the purpose to radically improve healthcare by digitising patients’ journeys through AI. The company’s digital platform allows healthcare providers to prioritise, treat and follow-up with patients online, in a safe and secure way. First, the patient describes their symptoms through an app. When appropriate, treatment is provided through the digital care environment and when required a physical meeting takes place. The results from implementation have proven successful, with 98% patient satisfaction. Additionally, patient-physician time is used more efficiently when the physician is provided with a digital summary of the patient’s medical history. The Stockholm-based startup raised €10 million in a Series A round in December 2017. Newsvoice – This news media app publishes news and perspectives from high quality sources in one place. The app scans hundreds of sites and aggregates the latest news, and lets its users decide what stories should be highlighted, to check the validity of the news, and add new sources. Newsvoice readers can choose through the app what kind of news they want to receive, and get an overview of how different media report the same news depending on their main political inclination or geographical location. Moreover, content is created by the users themselves, who volunteer by adding news stories, writing short summaries, and fact checking. Founded in 2017 and based in Stockholm, Newsvoice has raised €200k to date. ELO Language – Based in Lund and founded in 2017, ELO (short for “eloquence”) is developing a language learning platform designed to get language learners fluent in a foreign language – beyond the basic or conversational level that most language apps offer. ELO aims to provide an immersive language learning experience by integrating itself with the content you are already engaged with and focusing on the topics you are interested in, as well as using the latest scientifically proven teaching methods for optimal understanding and memorization. After graduating from the Y Combinator program in 2018, the startup has released a beta version of its platform, which you can sign up for on its website. 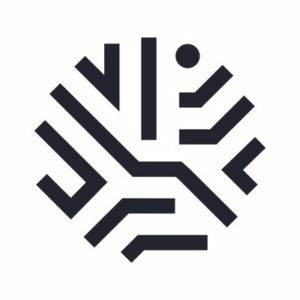 Sana Labs – Founded in 2016 and backed by a renowned set of investors and advisors, Sana Labs provides an artificial intelligence platform, which learns from students’ individual learning style and determines their optimal learning pattern. The platform, with the potential to revolutionise learning, is currently being rolled out in 75% of schools across Sweden with further plans for global expansion. Based in Stockholm, the startup has so far raised $2.5 million. By the way: If you’re a corporate or investor looking for exciting startups in a specific market for a potential investment or acquisition, check out our Startup Sourcing Service!